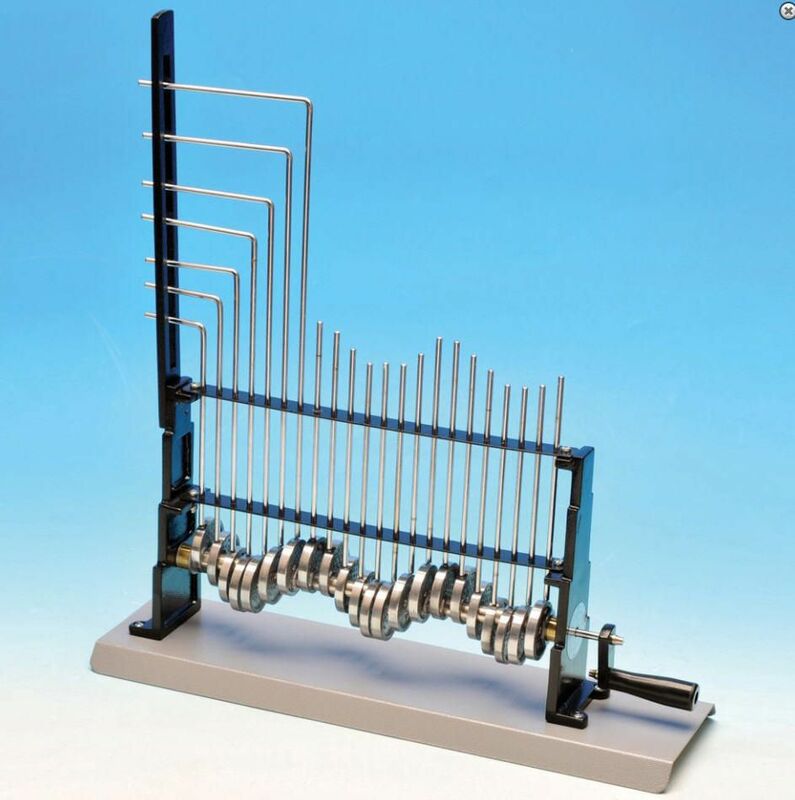 This advanced apparatus demonstrates both longitudinal and transverse wave motions. Consisting of a number of eccentric discs supporting a series of metal rods revolving on a handle, transverse waves are obtained. Longitudinal waves are obtained from the bent rods. The rotating handle is equipped with a circular scale marked in degrees to indicate rotation. Includes instructions.